The Golden Knights are comfortably in the playoffs about two-thirds through the season. Their hopes of repeating as Pacific Division champions largely hinge on how they get through a long stretch of home games that begins Saturday when the Columbus Blue Jackets visit T-Mobile Arena for a 7 p.m. game. Vegas (31-21-4) is seven points behind division leader Calgary and five behind San Jose. The Flames have two games in hand and the Sharks have played one fewer game than the Knights as the stretch run begins. The Knights are 11 points ahead of Vancouver for the third and final automatic qualifying spot in the Pacific. 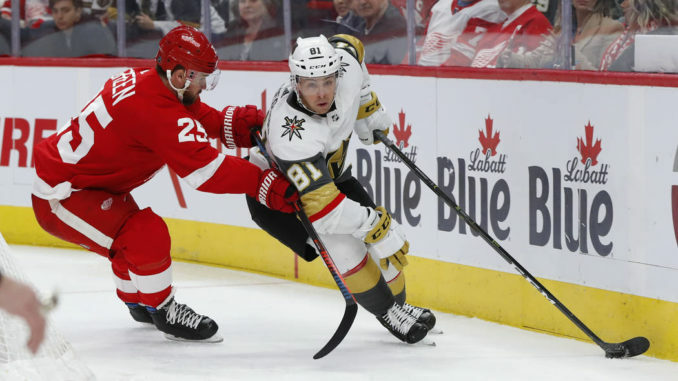 Their outlook might not be as rosy had they not rallied for a 3-2 shootout victory over league-leading Tampa Bay on Tuesday, then overcome an early 1-0 deficit for a 4-3 win Thursday at Detroit.